Remanufactured HP Toner Cartridge, Black, 3,500 page yield. 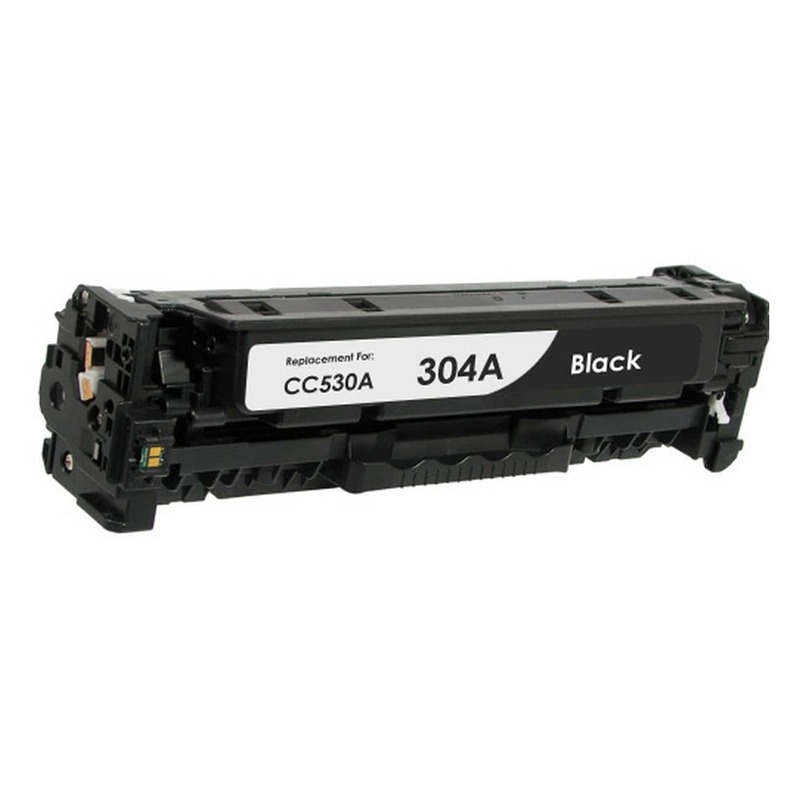 Replaces HP part number: CC530A, 304A Black. Laser Toner Cartridge compatible with HP LaserJet CM2320, CP2025. This is the remanufactured black HP CPM2320 and HP CP2025 toner cartridge. The cartridge has a 3,500 page yield which comes out to an approximately 1.3 cent/page printing cost. Whereas the genuine cartridge has an approximate 3.3 cent/page print cost. Our remanufactured cartridge saves you approximately 60%. You will find virtually no difference in print quality of this cartridge when compared directly to the HP brand cartridge. In addition, there will be no fitment issues because the cartridge is a remanufactured original HP cartridge.